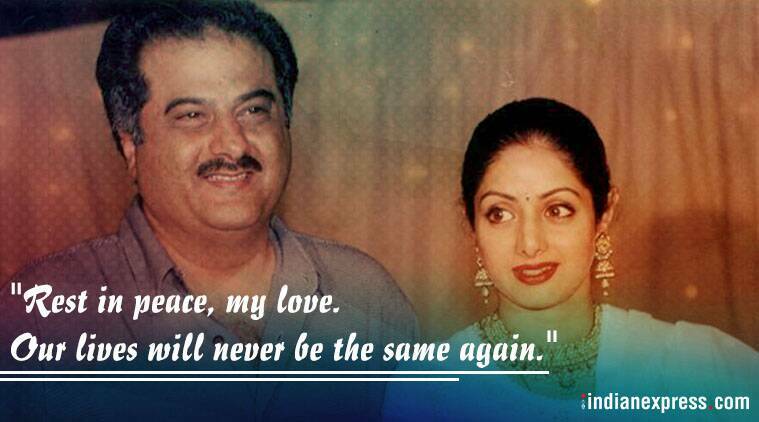 On Wednesday, after returning from the crematorium, Boney Kapoor, who has not been in a condition to talk to anyone ever since Sridevi passed away on February 24, shared an emotional note from her Twitter handle. Thanking his family, friends, colleagues and fans of the first female superstar of India, Boney Kapoor wrote a long note after Sridevi’s funeral. Filmmaker and husband of late superstar Sridevi, Boney Kapoor performed the last rites of his beloved wife on Wednesday afternoon. As he lit the pyre to bid final goodbye to his ‘wife, friend and mother of his two daughters’, entire India wept along with him. 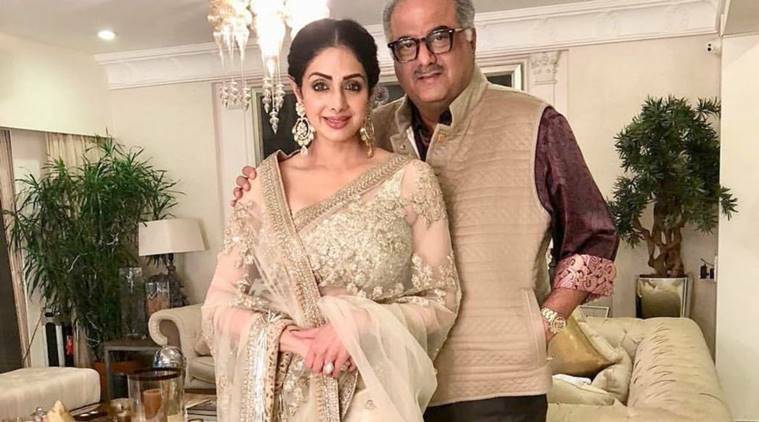 On Wednesday, after returning from the crematorium, Boney Kapoor, who has not been in a condition to talk to anyone ever since Sridevi passed away on February 24, shared an emotional note from her Twitter handle. In the note, he poured out his heart as he mentioned how the Chandni actor was the axis of his family. “To the world, she was their Chandni, the actor par excellence, their Sridevi, but to me, she was my love, my friend, mother to our girls, my partner. To our daughters, she was their everything, their life. She was the axis around which our family ran,” wrote Boney. Sridevi and Boney Kapoor got married in 1996. 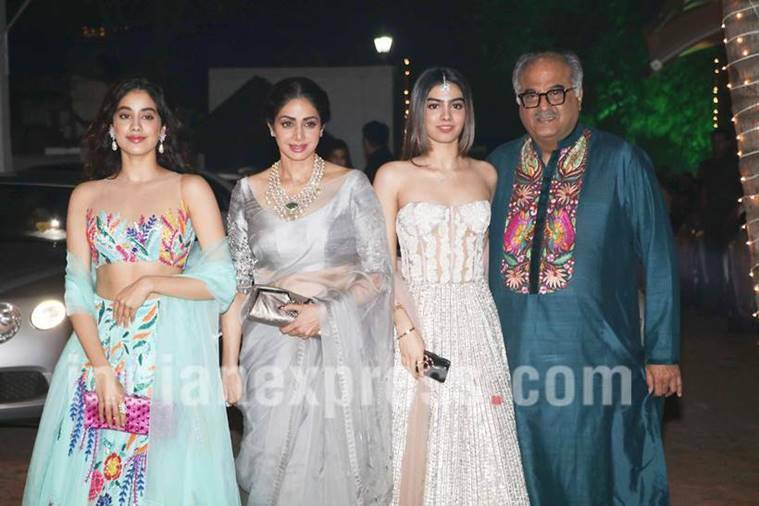 Sridevi with husband Boney Kapoor and daughters Khushi Kapoor and Janhvi Kapoor. “My only concern at this time is to protect my daughters and find a way to move forward without Sri. She was our life, our strength and the reason we smiled. We love her beyond measure,” he continued. Both the opening line, “Losing a friend, wife and mother of your two young daughters is a loss inexplicable in words,” and the closing line, “Rest in peace, my love. Our lives will never be the same again,” gave words to the void his wife’s death has left in his life. After the funeral of Sridevi, the Kapoor family also issued a joint statement which was shared by Sonam Kapoor and Anil Kapoor on their social media accounts. Sridevi’s mortal remains were brought to the actor’s residence at Green Acres on Tuesday night. On Wednesday morning, her condolence meet at Celebration Sports Club was attended by fans from all across the country and Sridevi’s colleagues from the film industry. Rekha, Aishwarya Rai Bachchan, Madhuri Dixit-Nene, Akshaye Khanna, Farah Khan, Vidya Balan, Sushmita Sen, Shabana Azmi, Javed Akhtar, Madhur Bhandarkar, Deepika Padukone and others were in attendance. The late actor was given a state funeral and her body was wrapped in tricolour. There was also a gun salute before the cremation.